….If a piece of writing makes you think…. ….Then the job of the writer is done…. So now your here, and I wanna say thank you for page hopping and landing here. Did you crash? You didn’t land in the water did you? Want a towel? So about me? I kinda think my writings say it all, but, I guess parts of me are like glass, if your not careful I shatter easily. Other parts so strong they can’t be broken. I wear my heart on my sleeve, I’m afraid of Love and Trust, they are the scariest words I know and, I don’t believe in myself. I express myself through my writing as in person I’m usually to shy to say how I feel. I’m a mum and it’s the best job on earth! I have deep emotional issues (That I’m working at very slowly), I’m somewhat complicated, some what unpredictable. I have my ups and downs and my highs and lows. I’m very easy to please. I don’t let people in and spend my life building walls. Don’t take it personal, that’s just the way I am…. Happy hugs to you and take care.x. Thank you for visiting my page and for the kind words. I don’t like the about pages either..lol. I’m poking around your writing also and enjoy what I read. Hugs and smiles your way.x. Hugs your way, may the rest of your day be fantastic!!!! If anyone on here is gonna know me it’s you! Hugs to you, S. and R.x.x.x.x. Many thanks for all your likes and visits. Hi, Your welcome, I had the time to catch up on all posts from the people I follow yesterday so lots of likes and a few comments for everyone! I shared your poem along with some others on facebook, hope you don’t mind? I also emailed it to a friend as I knew he would like it(He does!!). Pages like this is true to be hard to write…… it also says something – sometimes we think we know ourselves but we don’t! Hi! 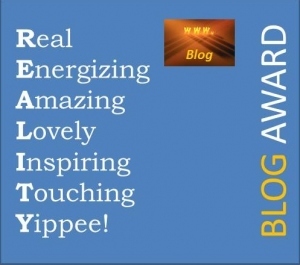 I have nominated your blog for the Very Inspiring Bloggers Award. 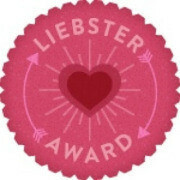 I hope you accept this nomination. Hi and thanks for dropping by The Poet’s Craft’s and liking one of my poems. What an interesting site you have and I will visit regularly. My best, mum, to you and your loved ones….have a great day! I feel like I was on a journey of sorts, reading several of your works. A nice variety, too! (Thanks for the visit! I’m quite new at writing.) Peace! Thanks for following. I like your writing. Thanks for coming by my blog yesterday and “liking” so many of my poems! Yeah I just started scrolling down reading and before I knew it I had read loads. It’s good work, keep posting! I really like what I’ve read so far, keep posting and hugs.x. Hugs to you and family.x.x. Thank you! Being open has its ups and downs, it makes you find out who your real friends are and they tend not to be many. A few close friends suspected it but didn’t push until I said. I decided to be open about it as I didn’t want someone to be friends only to find out and make out our friendship was based on a lie. Also if people know they can then understand how one day I’m childish, the next high as a kite ( or flying ), then next down and blue and the next feeling like the end of the world, and that before even throwing the normal days I have. My life its just a whirlwind! I have a friend with schizophrenia and have learnt just to take her as each day comes. shes funny, articulate, thoughtful, gentle, intelligent and so much more. I don’t think anyone has the right to label people, we are all different and that’s what makes us unique and special. If ever you feel down about it, just remember that you make someone smile by just being you and if someone can’t accept you, then they truly aren’t worth it. if ever you want to write, feel free to email me at WotsitFamily@gmail.com . I hope you have a fantastic day and hugs your way.x. Thank you for following Lessons by Heart. It’s very nice to meet you. Praising Jesus whose words give life! Hi. Thank you for following. Many people say ‘I’m a mum’. I genuinely like your poetry. Thanks for visiting mine. Hello. Thank you for following my blog, Adventures in Fantasy. I appreciate it! Thanks for visiting my blog NB! You like Truth Warrior. Your honesty and humor certainly help the see saw life, for you and all who can share with you. 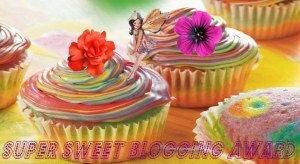 Hi Nem – thank you for stopping by my blog today – I am blessed. I was able to read your blog – and it’s pretty special! Thanks, Debb.